Life is often a series of ups and downs much like a roller coaster. The only difference is this roller coaster doesn’t stop after 90 seconds of fun. Instead you’re on this ride until the very end, years down the line. So how do you stop it from being more down than up? Dr. Leo Lafferty-Whyte can help find the answer in what he calls Triple H Coaching. 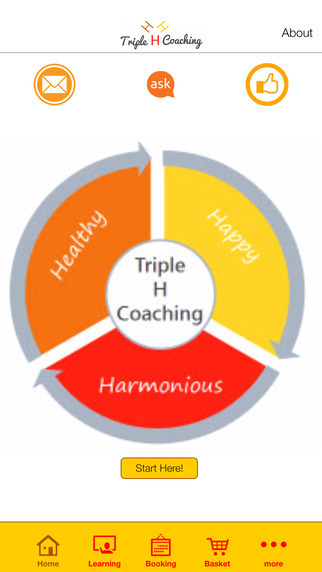 Triple H is so named because of its concentration on the three targeted areas: Health, Happiness and Harmony. These coaching programs are designed around the person being coached. In other words, the program is customized. There’s no cookie-cutter method where everybody does the same exercises and receives the same sessions. Triple H Coaching starts with a Situational Assessment Check, or S.A.C., to review and identify weaknesses and strength and get all the information on the person’s current situation. This is where the info is gathered in order to tailor-make the right program. The person then selects what type of coaching they want to receive. They can choose from such methods as written support, pre-recorded video coaching, live video calls or even in person sessions. This method of coaching, concentrating on health, happiness and harmony, has proven successful over the years helping people with family issues, work problems and even helping some reach their weight goal. They’ve recently taken the principles of Triple H Coaching and released an app aimed at allowing people to easily take advantage of these principles. The app provides free 5-6 minute coaching videos and accompanying exercises for you to do at home. There’s even an option in the app that allows you to book free or paid coaching with Dr. Lafferty-Whyte directly. For more information on Triple H Coaching or to sign up for personalized coaching go to their website at TripleHCoaching.com. To download the free app on iOS or Android devices click here.